Patty Corkery’s fascination with the delicate French cookie, the macaron, started at the source. It was on her first trip to Paris, where she discovered that shops specializing in the elegant treat are on every other block. 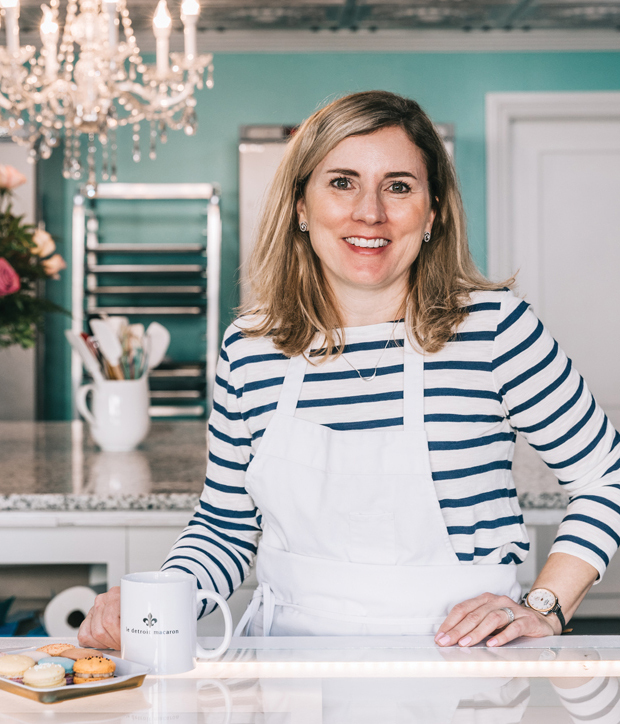 She “fell in love.” When she returned to Michigan, Corkery immediately took a class in how to make macarons. 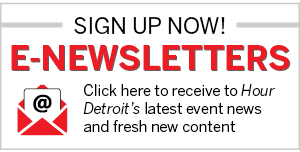 It’s a laborious process that requires precision so that they don’t crack or get too dark. But that wasn’t enough. On a subsequent trip to France, she took another class. And that has resulted in Le Detroit Macaron, a local shop that specializes in what are basically sweet sandwiches — two light-as-a-feather cookies held together by a creamy filling. The shop opened in late September. But it’s only open Saturdays, since Corkery’s primary career as a lawyer takes up the weekdays. It’s a very French-accented storefront in Hamtramck, on a side street just around the corner from Joseph Campau. 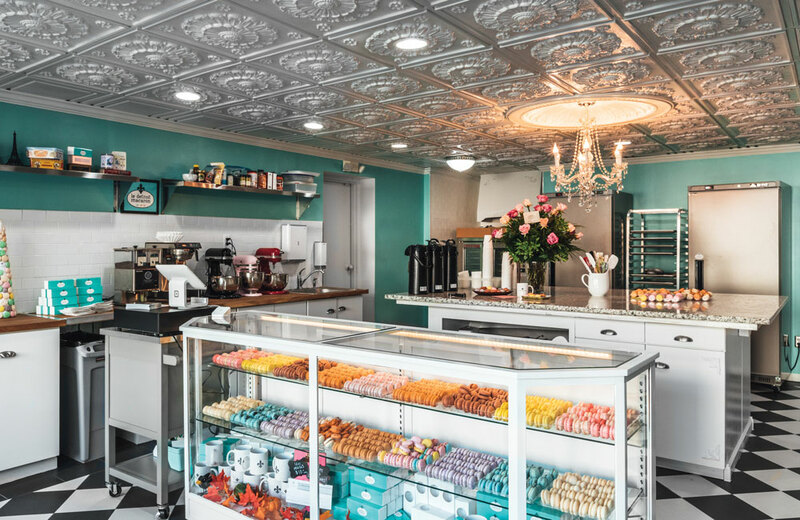 The place has been completely redecorated from its previous life as a chocolate shop, with a white and turquoise color scheme (“the color of a Tiffany box,” as Corkery puts it). A twinkling crystal chandelier, some antique glass-front showcases, a replica of the Eiffel Tower, and a photo she managed to sneak of one of her macaron boxes tucked into the hand of a classic statue of a woman in Paris, all emphasize the French connection. “I love the creativity,” says the attorney/macaron baker about her chosen confection. “They can be any color, any flavor [and] they’re fun and pretty.” Not to mention utterly delicious. 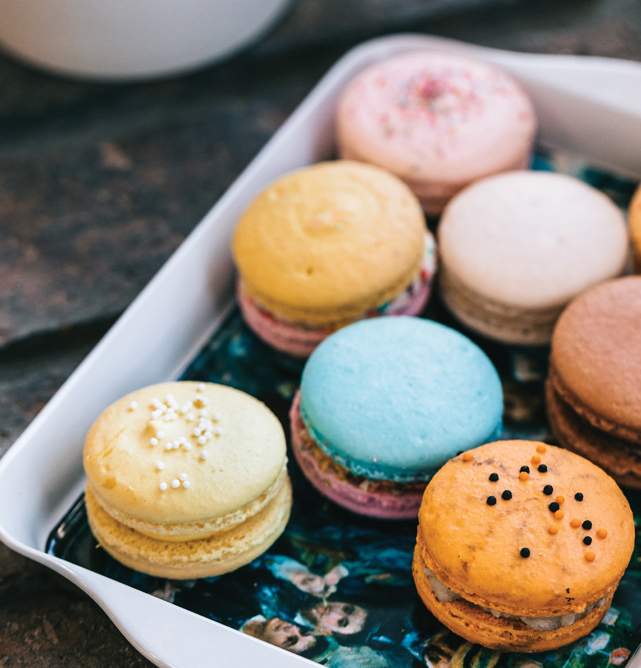 Corkery has been making and selling the macarons for a while — mostly for weddings and corporate parties. But now, they are more widely available and packaged in attractive little see-through white boxes decorated with a fleur-de-lis. Flavors include pumpkin spice, lavender, vanilla bean, and rose cardamom, as a well as just about any fruit. There are also flights of Corkery’s fancy, typified by cocktail macarons including champagne, Old Fashioned, and Baileys. She has even come up with a vegan buttercream version. Each one is $2.25. Great Lakes coffee is also offered. Corkery has just one helper at the shop, Isabelle Elwart, a Hamtramck teenager, who offered to work as an intern but is a paid employee. “I couldn’t let her work for free,” says the boss.